So much more than just a great technical hygienist, Miss Pearly White takes great pride in being a superior dental healthcare professional & advocate. She is passionate about educating her patients and also children/families in the schools and community on the importance of good oral health and healthy lifestyles. 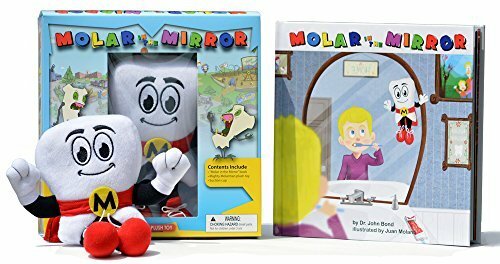 One of her favorite educational tools is "Molar in the Mirror”. She holds monthly readings of this book for the kids in her community, hosting Meet the Molars Day to keep dental health awareness high. Away from work, Miss Pearly's interests include outdoor activities, music, health & fitness, and nutrition. Like Mighty MolarMan, there's not much that she won't try that is rooted (hehe) in fun and good health. Finally, like Mighty MolarMan®, Miss Pearly has a real passion for helping the millions of children who suffer from dental phobias, and those with special healthcare needs, to overcome their fear and anxiety of the dentist. Together, they are leading the way to help these kids and appreciate all the Molar Maniacs out there who are helping too.